With free agency set to open on February 27th, it is time we had a look at the free agency market and see which players may be able to help the Broncos make the transition from 4-3 to 3-4. Today we will start with a look at the defensive line. Over the next few days we will have a look at the available linebackers and defensive backs as well. The man with the big foot. As dominant as he was over the past two years, where was he the first few years of his career? Haynesworth will command a truck load of money and he just seems to have ‘once I am paid, I am done’ written all over him. There is a huge amount of risk involved here and there is nothing that says he will be as dominant in a 3-4 scheme as he was in a 4-3. Is he a 3-4 End? Is a 3-4 end worth that much? I really hope the Broncos pass on this guy, the money could be better spent elsewhere. Gabe is a mountain of a man who had a slow start to his career but turned it on strong here for the Cardinals late in the season and in the playoffs. That could point us to ‘wanting to get paid’, or it could just mean that he started to figure things out, he is a young guy. Watson could be an answer at nose tackle, but being a restricted free agent (that would most likely get the highest tender ), do you give up a 1st and a 3rd for the guy? Not sold on him either. In the months leading up to the 2005 draft, a lot of draft gurus projected Cody as a 3-4 defensive end. Unfortunately for him, the Lions drafted him and they have been experimenting with him at DT and DE in a 4-3. He should be a relatively inexpensive signing and could fit into a rotation at DE. This guy interests me. He is aging, but he is still extremely athletic and a playmaker. He has said that he would like to play OLB in a 3-4, and that could prove to be very interesting. The problem here is, he will still command a ton of money and will be playing in a position where he has not proven himself. If the Broncos are going to dump a ton of money on a playmaking OLB, I would rather see them get Terrell Suggs (assuming he isn’t franchised). On the surface, Canty seems appealing. A young guy who has played 3-4 end. However, I have read a lot of negative commentary on him from various Cowboys fan sites. He certainly seems like someone who could step in day one and be at least servicable at the DE spot. So I am still on the fence on signing this guy. Wright is a servicable 3-4 defensive end. He should fit into a rotation or at least provide backup potential. He should be relatively inexpensive and already understands the Patriots way of doing things. I suspect the Chiefs will be looking to nab this guy as well should they hire a 3-4 defensive coordinator. Eb and Kenny are both aging, but both proved to be solid performers last season on a horrible defensive squad. Eb got a little pressure and Kenny was generally solid in the run game. We’re just looking for bodies who can gobble up blocks and both of these guys are big enough, and stout enough at the point of attack to fill in at 3-4 end. They should be inexpensive, if nothing else, they should provide good depth. It is looking more and more like the Broncos will have to find a nose tackle in the draft. If BJ Raji is available at pick 12 (looking unlikely), he should be the selection and should fill in nicely. 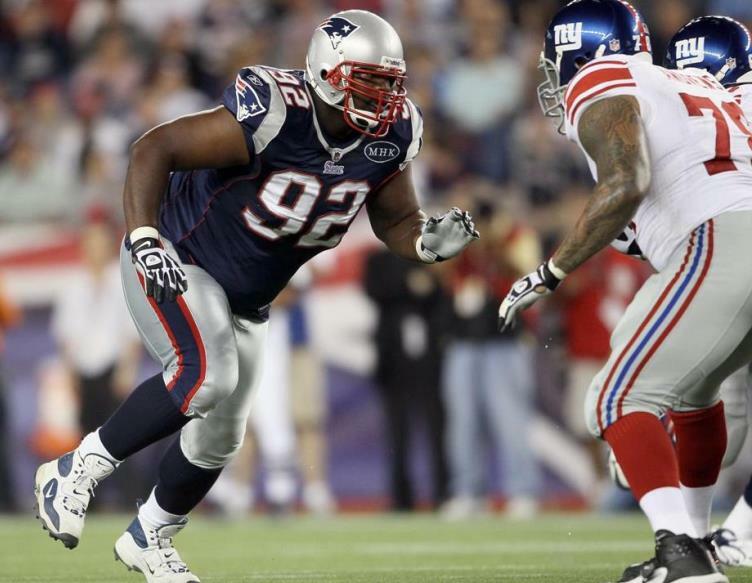 Otherwise there are some other options later in the draft, like Raji’s teamate Brace who could be had in the 3rd round. Let’s just assume Raji is available at pick 12.